In addition to spaying and neutering services, Alpine offers comprehensive soft-tissue surgical care. Physical examination along with pre-anesthetic blood evaluation is performed to make sure your pet is healthy prior to general anesthesia. We utilize the safest available anesthetics to provide that extra margin of safety, especially for our older or high-risk patients. Each patient has their own custom made anesthetic plan. 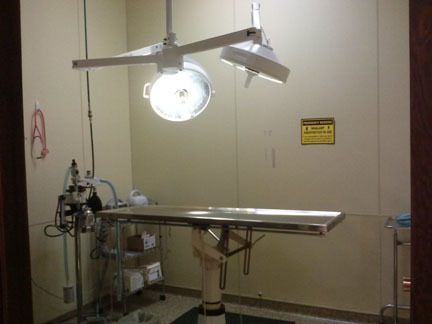 Using advanced anesthetic equipment, the patient's vital signs are monitored during all anesthetic procedures. We feel strongly that preoperative, intra-operative, and postoperative pain management is important for all surgical patients.